 Country Village Meats proudly provides whole animal butchering for the local agricultural community. You may schedule to bring your cattle, hogs, sheep and goats, or purchase animals from us, to be harvested under state inspection at our facility. We abide by humane handling guidelines, plus follow high quality sanitation procedures while adhering to our state approved HACCP plan. Schedule your animals in advance for the weekly harvest day on Mondays. We offer a limited number of spaces each week. Please call well in advance to reserve your slot. Deliver animals between 7:30 – 9:30 am on your scheduled day. Beef require a minimum of 3 to 4 weeks before picking up your purchase as we age it to perfection. It takes a minimum of 2 weeks for hogs. Custom orders are cut and packaged the way you want, then rapidly frozen to lock in all the flavor and juices. All cutting instructions for hogs must be received day of harvest; beef within a week of harvest. Average hanging weight 460 lbs. (Half of a Half) Average hanging weight 230 lbs. Average hanging weight 230 lbs. Average hanging weight 115 lbs. We accept boneless venison for processing. We normally add 1/3 pork to your venison before making your selections of fresh or smoked items. You can bring in venison during our retail shop hours. Since our founding Country Village Meats supported the community by selling locally raised beef and pork. We source our animals from area farmers for our customers wanting to purchase whole or half hogs, roasting pigs, or those ordering whole, half or quarter beef. Grass fed beef and pasture raised pork are available, too. To order beef or pork, please call ahead to reserve your animal, plus provide cutting and wrapping instructions. We’re happy to answer your questions and make helpful suggestions if desired. for beef before picking up your purchase as we age it to perfection. With a beef order you might be placed on a waiting list while we find additional customers to commit to the balance of the beef before we purchase a beef from a local farmer. Periodically we have Ready to Go Hogs or Beef which are cut into the most popular cuts and sausage flavor combinations. We will post those offerings at our retail store, in this website and on social media. You can call to ask if we have any available, too.